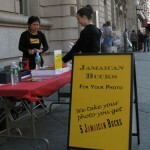 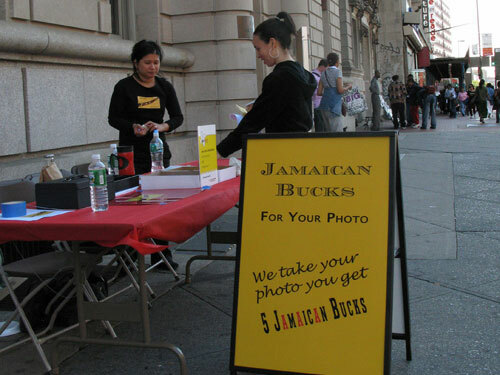 For Counter Culture Cash, we set up a photo booth on Jamaica Avenue in Queens, New York and offered passersby Jamaican Bucks, a local currency we created, in exchange for their photograph. 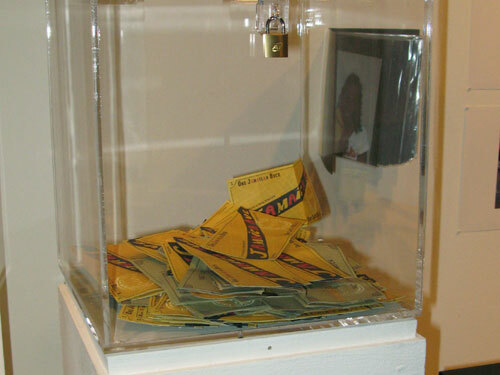 Participants could spend the currency at five local vendors who had agreed to accept it, including a delicatessen and a dollar store. 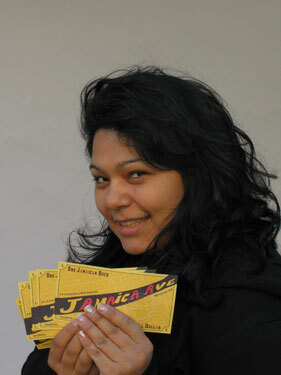 We circulated 500 Jamaican Bucks, resulting in a series of 100 portraits that capture the people, place and spirit of the project. 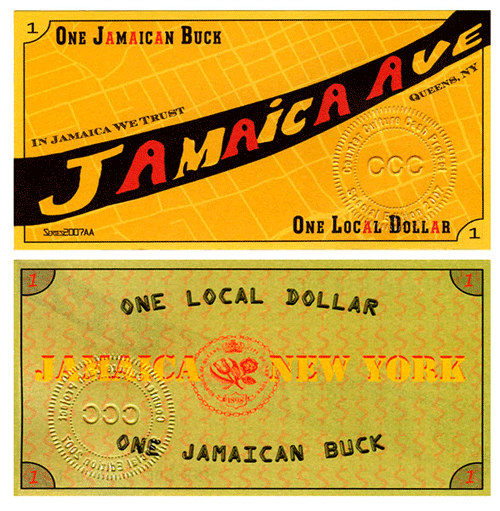 As an artwork, Jamaican Bucks are editioned, two-sided, archival prints that are hand numbered, signed and embossed. 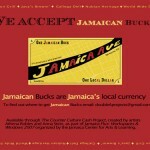 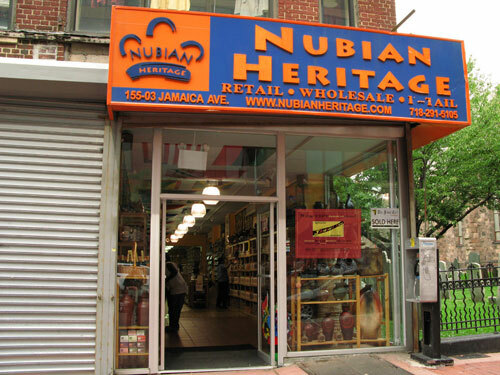 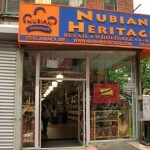 The goal for Counter Culture Cash was to reinforce the local economy and build connections based on trust and mutual exchange among the people in Jamaica, Queens. 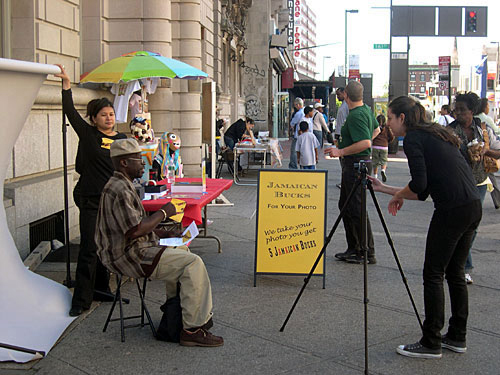 The project lay the foundation for the inclusive way that we work with the public and for many of the ideas behind our work, such as examining generous systems and self-sustaining communities. 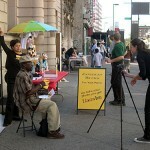 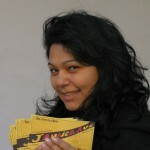 In addition, this project allowed us to see the direct impact art could have on a community and on the street. 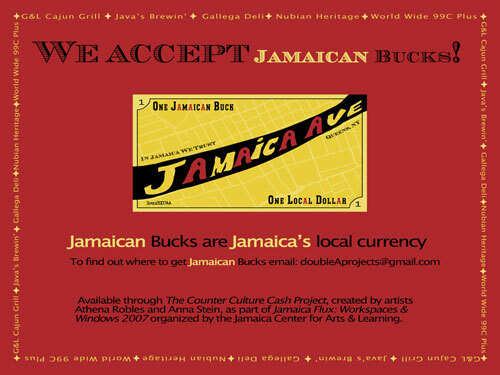 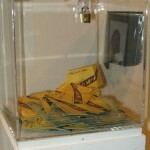 Counter Culture Cash was commissioned as part of Jamaica Flux 2007, organized by Jamaica Center for Arts & Learning (JCAL). 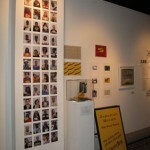 The exhibition included 25 artists and ran for a period of two months. 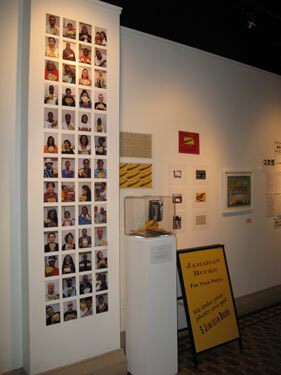 Jamaica Flux 2007 was curated by JCAL curator Heng-Gil Han; guest curators Koan Jeff Baysa, Juliana Driever, Olu Oguibe; and curatorial assistant Aniko Erdosi. 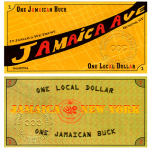 After the launch of Counter Culture Cash: Local Currency in Jamaica, NY, we created a special edition of these bills for Fuse Works Gallery in Brooklyn, NY.